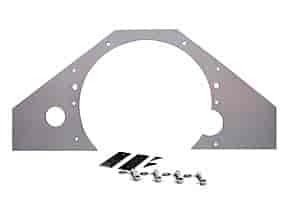 Competition Engineering Mid-Mount Engine Plates are designed to work with front motor plates to eliminate torsional stress within the chassis. Installation of a mid-mount plate allows for easier transmission swaps, aligns the drivetrain to stop block twisting and broken transmission cases, and provides smooth clutch operation. Welding required. JEGS 22005 - Block-to-Bellhousing Dowel Pins 2-1/4" x 5/8"
JEGS 22006 - Block-to-Bellhousing Dowel Pins 1-5/8" x 5/8"